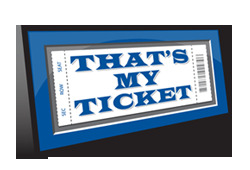 The NHL Stadium Series builds on the tremendous success of the league's annual Winter Classic which celebrates the origin and traditions of hockey. 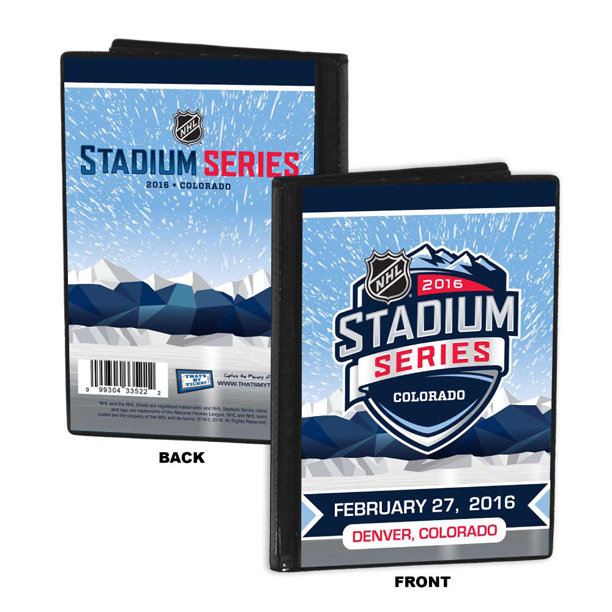 The second of two 2016 Stadium Series games features the Detroit Red Wings vs the Colorado Avalanche at Coors Field in Denver Colorado on Feb. 29, 2016. 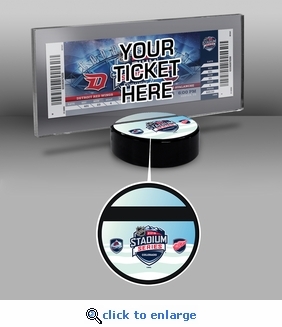 Make your Stadium Series ticket stand up in this 3/8-inch thick clear-acrylic holder with a city-specific Stadium Series logo hockey-puck style base.